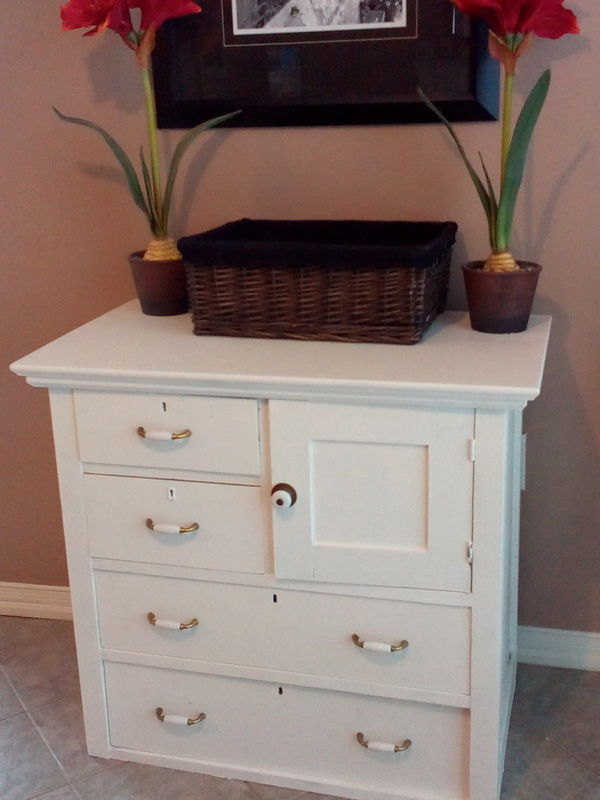 How adorable is this cupboard restyled by Shannen? This cupboard belonged to her grandmother and had some great lines to begin with, but now that it's been restyled with Miss Mustard Seed's Milk paint in 'Kitchen Scale' it's completely adorable. I love it - thanks for sharing Shannen! I don't have a 'before' picture of this one to share with you, but how cute is this table restyled by Kim? It's so bright and cheerful - good job! 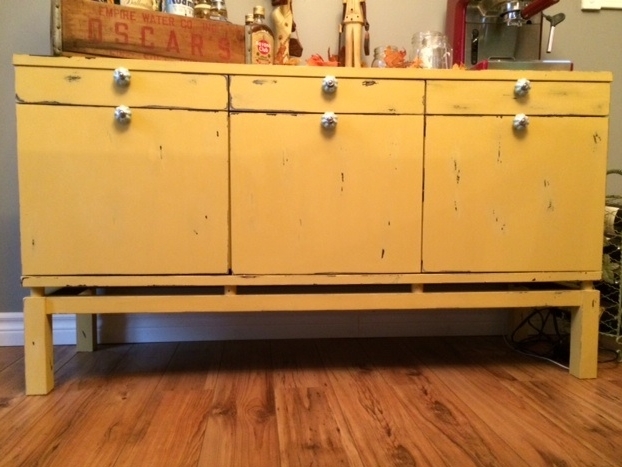 Brenda took a van Gogh workshop at Mango Reclaimed and went straight home to paint this cabinet in a soft cream colour. 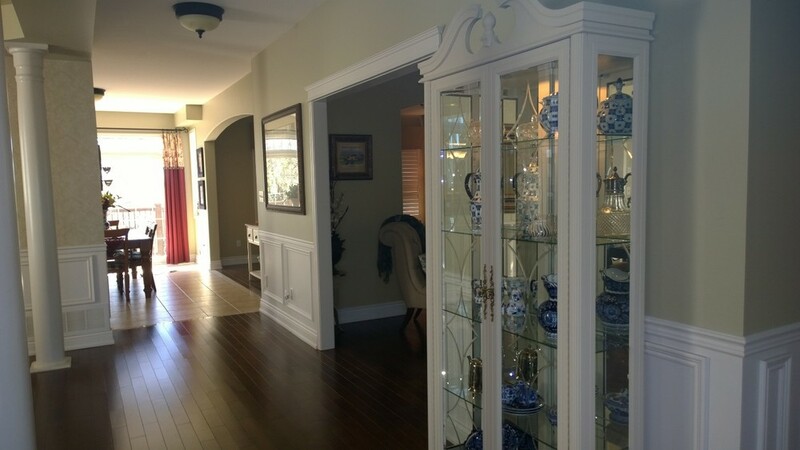 Doesn't it look great in her front hall? Thanks so much for sharing Brenda! Can't wait to see what you're working on next! 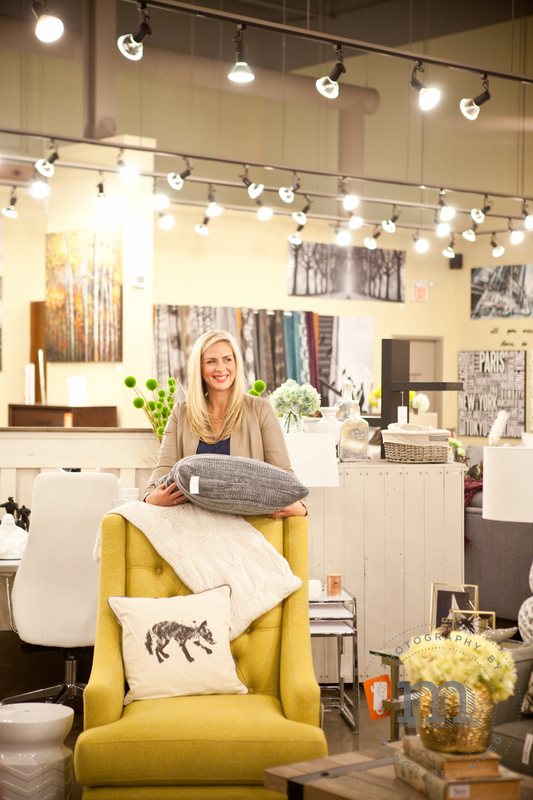 New inventory items and The Inspiration Nest @ Urban Barn! I have to admit - I'm a bit behind on my blogging recently . . . but I'm getting back on track now with lots of exciting new posts to share with you! For starters - we have some new items added to our inventory! These items are currently available for purchase. You can buy them 'as is' OR you can buy them custom restyled in any colour & finish of your choice! For more details on any item (including dimensions and pricing), simply click on the image. Be sure to check out our complete online inventory frequently as new items are added regularly! All items are kept onsite at the studio so if you would like to see something in person, let me know ahead of time by e-mail or phone and I'll make sure it's pulled out of inventory and visible for you when you stop by the studio! On another note . . . . 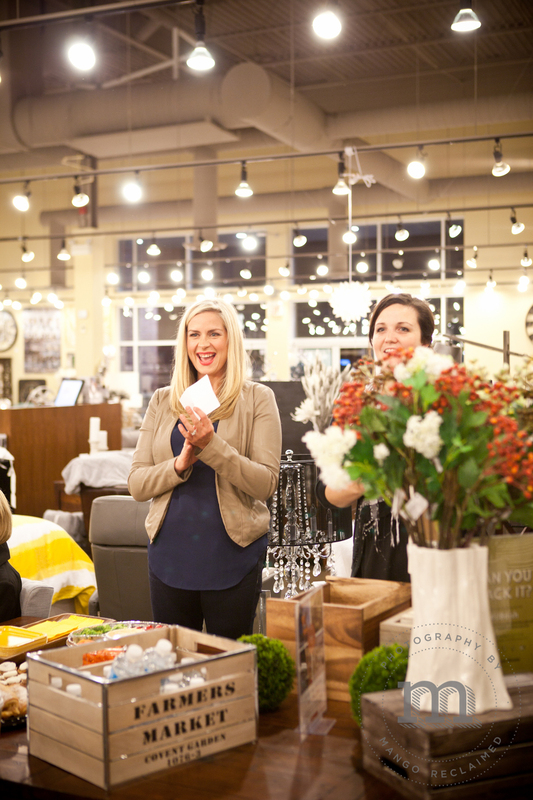 In case you missed it - here is a snapshot (actually two) of Leslie from The Inspiration Nest as she was giving a workshop on how to decorate with colour at Urban Barn a couple of weeks ago. There was a good turnout to the event and Leslie didn't disappoint with her great tips on how to really pull a room together! I'm so lucky to have such stylish and talented best friend! 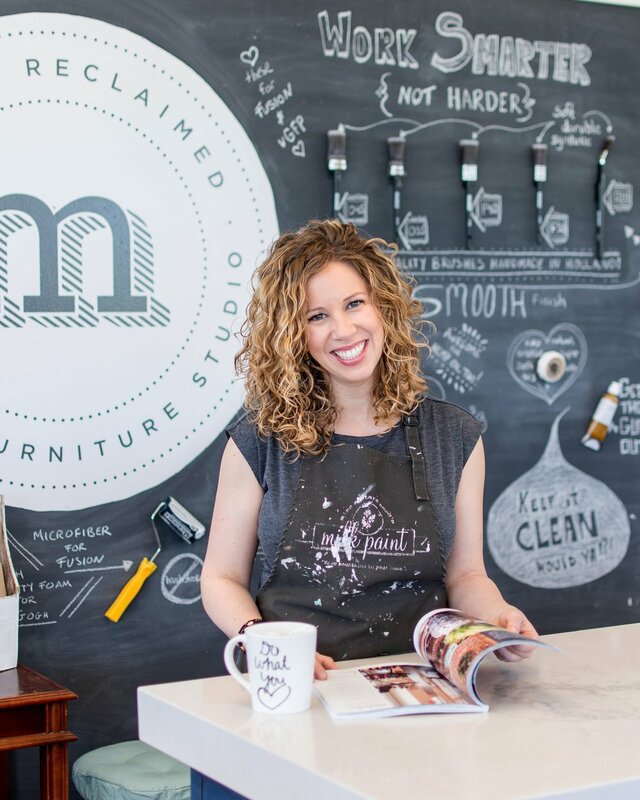 Leslie has another workshop coming up Tuesday Nov 25th, 7pm at Urban Barn in Whitby. This event will be a free mini workshop on how to decorate your Christmas tree. Those in attendance will receive 15% off Christmas decor AND 2 ornaments just for attending! Call 905 620 0254 to reserve your spot! If you don't already, you should definitely follow her on Facebook to see what she's working on!